Superb wildlife viewing is second to none in the Sabi Sands - you are pretty much guaranteed to see the Big Five – and if you haven’t yet seen the elusive leopard, this is definitely the place to come! We love the underground hide overlooking the Shadulu Dam in front of the lodge – head over the swing bridge and you’re sure to feel that little tingle of anticipation! Chill on the deck of your room whilst watching the resident nyala quietly grazing on the lawns – or perhaps you’ll be entertained by the antics of some warthog! 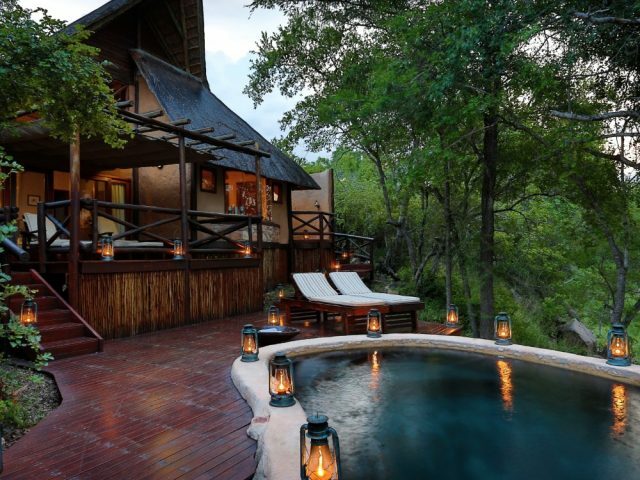 For more luxury and privacy it’s worth spending the extra for a Makubela Suite – we admit we’re suckers for private plunge pools! 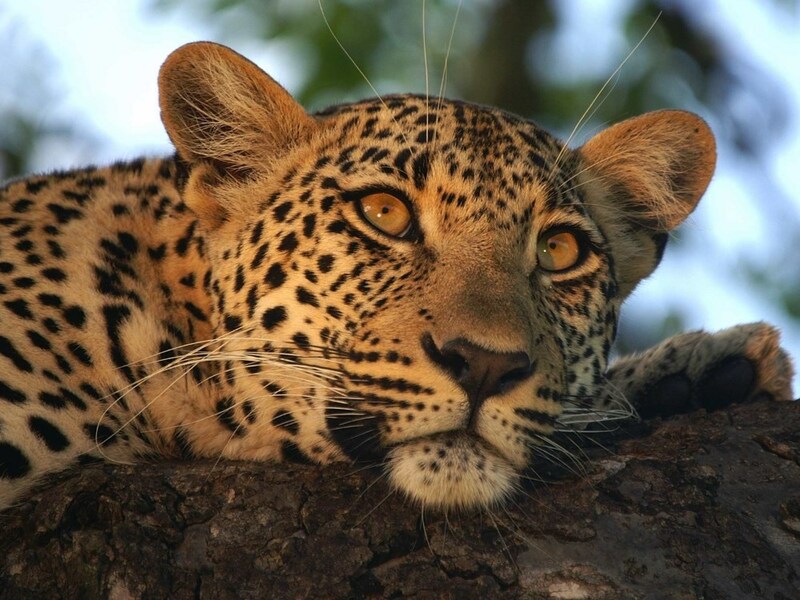 Idube’s secret to success is that it offers some of the best animal sightings in the world at a reasonable price –the area is particularly well known for the frequent and excellent sightings of leopard! Idube Safari lodge is one of the oldest and most successful game lodges within the Sabi Sand reserve having been designed and built by owner Louis Marais and opened to the public in 1989. Idube is a great example of a lodge combining a 5 Star game experience with 4 Star accommodation – and if you’re one of those people whose priority is firmly on the game viewing, that’ll be just the way you prefer things! Nowhere in South Africa can one find a wildlife experience quite like the one experienced within the 65 000 hectare wildlife sanctuary that is the Sabi Sands, and Idube is definitely one of the finest value for money lodges in this famous reserve! Idube is set in an indigenous garden with tall trees and cool, green lawns where you’ll spot nyala delicately grazing and warthogs snuffling around busily. The lodge is unusual in being one of the few largely constructed out of rough, natural coloured face bricks which seems to make it blend into the bush whilst also creating cool interiors. There are 11 rooms in all – the 9 original air-conditioned chalets (which have recently been renovated) as well as 2 gorgeous newer rooms, the Makubela Suites. The chalets lie scattered among Knobthorn and Jackalberry trees and each has been refurbished giving a very fresh and attractive look with a modern African theme. 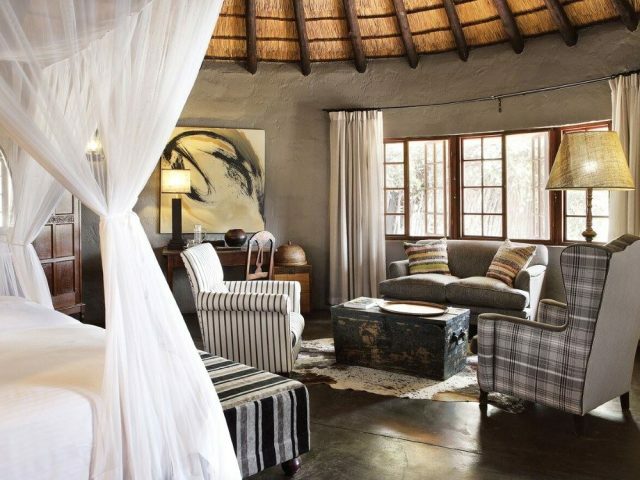 Attractively draped mosquito nets give a touch of safari romance (and there’s also mosquito gauze on the doors and windows to keep the pesky critters at bay!) Air conditioners and overhead fans combine with high ceilings to keep the chalets cool in the lowveld heat. The bathrooms (which have also recently had a complete makeover) boast double vanity basins, bath and shower and are finished in attractive natural colours and textures. And if you fancy the romance and adventure of showering under the stars while listening to the gentle hoot of an owl or the call of a far off jackal then you’re in luck, as each of the chalets boast outdoor showers too! Completing the picture, new private wooden decks have been added to each suite and have quickly become a favourite place for guests to enjoy the tranquillity of the lodge gardens, perhaps viewing the resident nyala whilst reading a good book. In addition to the chalets there are the 2 Makubela Suites which are Idube’s newest rooms (completed in February 2011) and a real step up in terms of luxury, comfort and privacy. They lie well apart from the other buildings, reached by attractive wooden walkways. When you get there you may find it difficult to be persuaded to leave, especially once you see your expansive wooden outside deck complete with your own private plunge pool! Each spacious suite has an entrance hall, bedroom, lounge and large bathroom which includes both bath and shower – and don’t forget the lovely outside shower, accessible from both the bathroom and the outside deck! Better still, the bedroom opens up with sliding/folding doors onto the large wooden deck - the view is awesome and whilst you relax on your bed or in your pool you can look out to the animals wandering across the clearing and the bush beyond. Your deck is also the perfect place to enjoy lantern-lit romantic dinners which will add another unforgettable memory of your Idube holiday! The thatched bar and entertainment areas are the focal areas for guests to gather. The colourful open lounge deck is a great place to relax in comfort as you enjoy the view of the Shadulu Dam where there is a consistent procession of animals coming down to drink. The swimming pool is well situated for both bird watching and game viewing - whilst cooling off with a refreshing drink in hand of course! But perhaps our favourite of all is the underground hide reached by a swing bridge where you can get a close-up view of the wildlife coming to drink at the Shadulu Dam – the perfect place for great photographs. Although Idube doesn’t have their own spa, therapists are on call to provide treatments in the privacy of your own room – and for those of you who feel they need to do something about all the delicious food you’re consuming, the lodge’s gym is the place to be! Idube’s secret to success is that it offers some of the best animal sightings in the world at a reasonable price –this area enjoys one of the highest and most bio-diverse wildlife populations of any area in Africa. Idube offers twice-daily game drives and the area is particularly well known for the frequent and excellent sightings of leopard! Of course, you’ll also get to view loads of other animals such as elephant, lion, rhino, buffalo, cheetah, giraffe, zebra and a vast variety of antelope and other species. Knowledgeable rangers and trackers who have been at Idube for many years go out of their way to make the drives and walks interesting and special – you’re in for perhaps the best wildlife experience of your life! 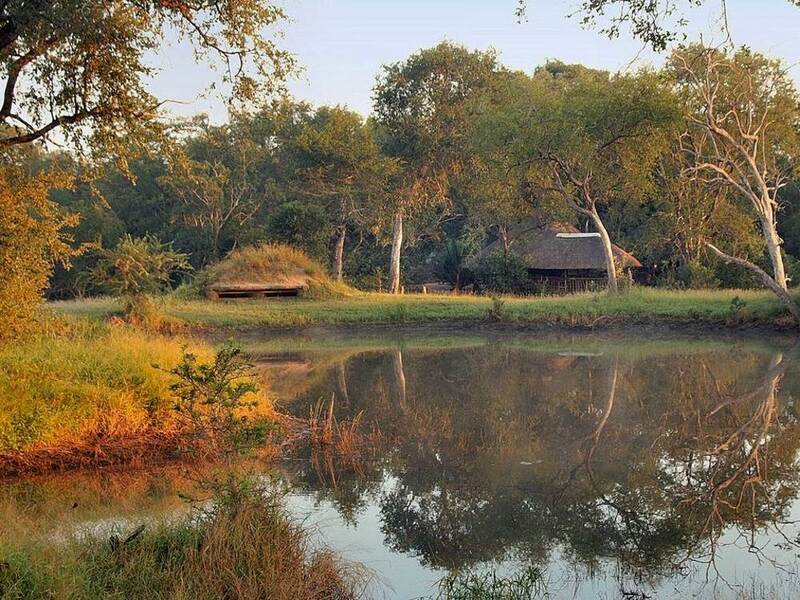 Traditionally styled camp combines comfortable accommodation with fantastically warm hospitality and superb guiding and game viewing.